in EMDR practice, research and education. Looking for an EMDR trained therapist? Our directory can help you find a professional in your area. EMDR Canada members are also members of EMDRIA (International Association) with all the benefits of both Associations: Listing in EMDR Therapist Directories, Newsletters. 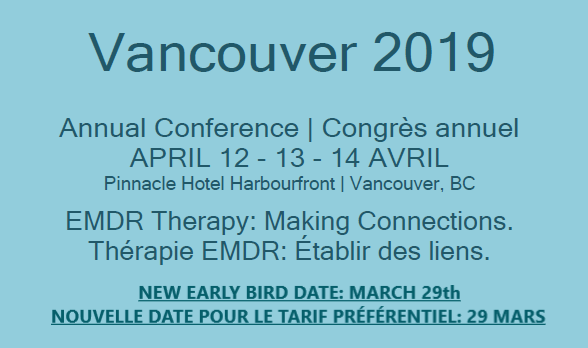 reduced Conference rates, Journal of EMDR Practice and Research and more. The present membership term runs from November 1st, 2018 to October 31st, 2019. See all the benefits.